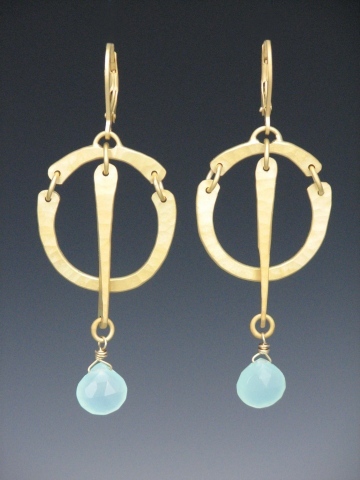 Hand forged earring with Aqua Chalcedony. Available in satin (shown) and shiny finish. Also available in Labradorite, Smoky Quartz, Black Onyx, Rutilated Quartz, Peridot, and Turquoise.